What should be effective advertising? What need to be done with advertising to force people not only to drew attention but also remember for a long time afterwards? Creative advertising posters featured below are an excellent example of such advertising. 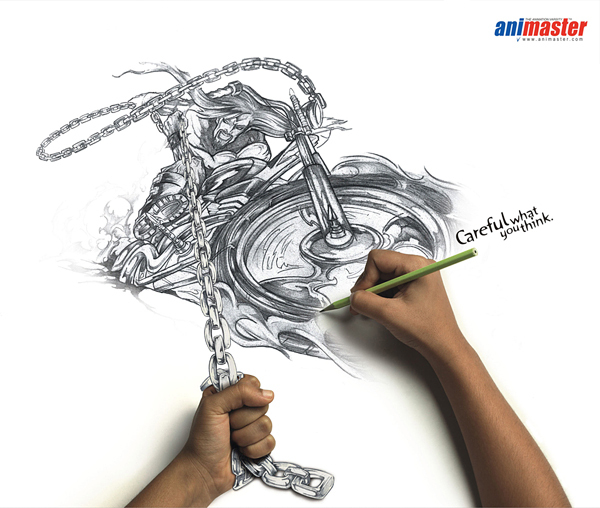 Over a year ago they were developed by Rediffusion DY & R advertising agency for Animaster Animation School company. 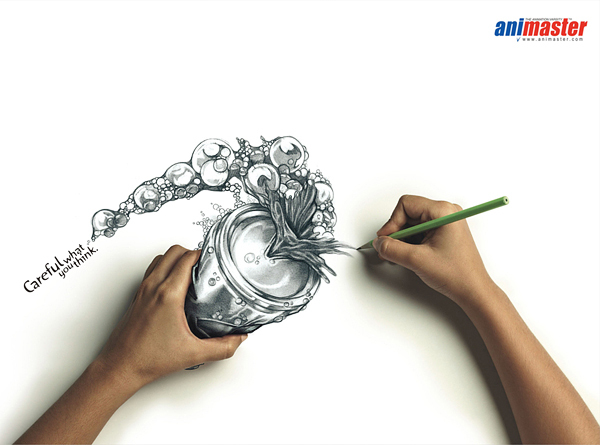 As always, creativity in advertising is a question of paramount importance. 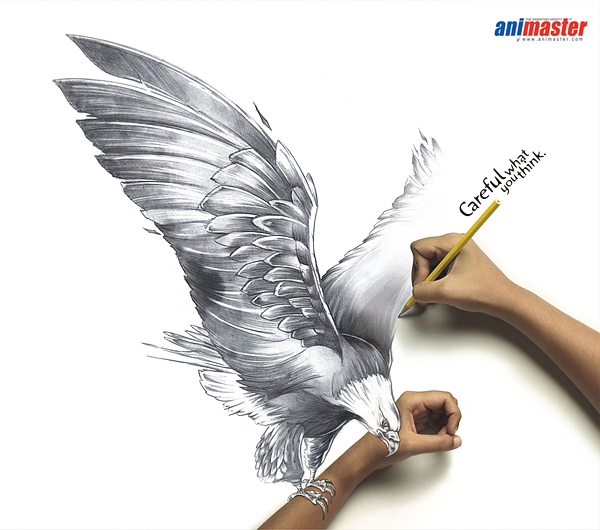 Perhaps the idea of drawings and hands that are drawing them, is not new, but thanks to quality execution and forethought of drawings this creative advertising is indisputable successfull. very nice creation nd i learned this proffesion of you…..thak u…. 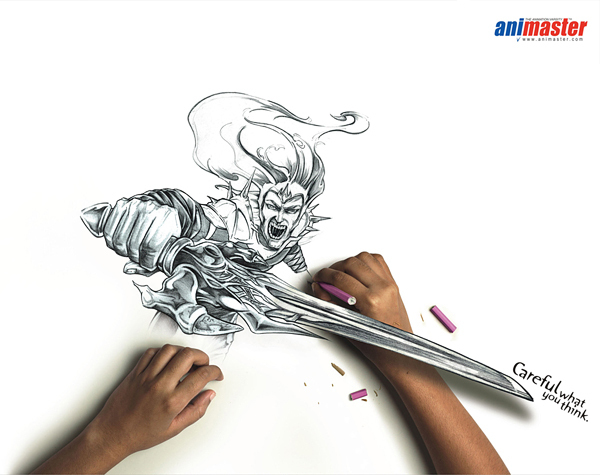 Wow, the general composition and perspective of these ads are just so awesome. They really display the talent of the artists too! hey thanks for the commment, i am the art director who worked on it, its just how an amazing team work can make a piece work better.